CONFIDENT: Fishing Club president, Bill Mabey. TODAY is judgement day for the Coffs Harbour Deep Sea Fishing Club as it meets with its creditors and administrators to decide the final fate of the club. 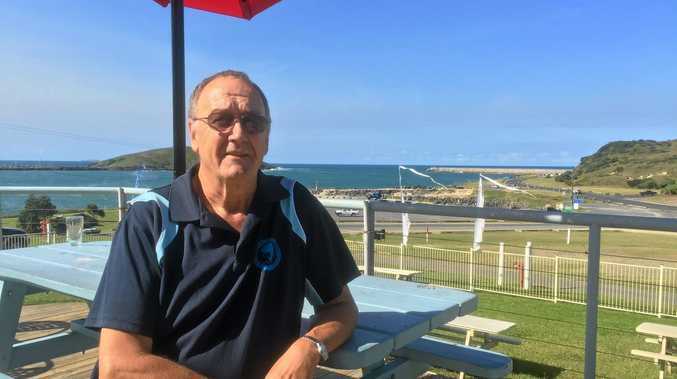 Club president Bill Mabey says the club and the North Coast Hotel Group will be tabling a "raft of proposals in our overall proposal" which incorporates the interests of other parties. "The proposal will be there from the club and North Coast Hotel Group; however, we do have separate discussions with other parties who could influence a more positive outcome and some of those will be addressed within the proposal," he said. Mr Mabey is confident in the proposal and emphasised liquidation is not in the best interest of all parties, especially the Coffs Harbour community. The club is also applying to Coffs Harbour City Council, the trustee of the reserve, for a lease extension on terms similar to those offered to the club and confirmed by the Minister for Crown Lands in 2011. "We are calling on council to go above and beyond and help a community-based organisation by asking them to do something they have the ability and capacity to do," he said. At the centre of the application is the proviso that the club and the North Coast Hotel Group pay the full balance of the deed of company arrangement payment on receipt of the new lease. "In other words, all council has to do is come up with a 10-year lease and the $1.2 million is there," Mr Mabey said. He said the current lease agreement had deterred interested parties from investing the club's future. "We have spoken to, over the term of this process, probably a dozen different people who have an interest in one form or another and most are scared off by the shortness of the lease term and the inability to get a return on their lease with the short lease available." If the administrators don't approve the proposal, they will begin to liquidate the club and council will move to extinguish the lease.